Pay down your mortgage. You can save more than $63,000 on a 30-year, $200,000 mortgage by paying just $100 more a month. Save 10 percent. Put aside 10 percent of your income for long-term investments and retirement savings before paying any bills. Track your expenses. Record every dollar you spend, for at least one week. You’ll get a clearer idea of where the money goes and what you can cut back on. Energize your house. Look for ways to make your house more energy efficient. You’ll save on heating and cooling costs and also help the environment. Stay home. Resist the temptation to eat out. Cook more meals at home. Instead of going to the movies, rent a video, read a book, or a play a game with your whole family. Don’t rely on credit cards. Credit card debt can eat up your savings and your future. Start reducing your debt, and don’t buy anything on credit if you don’t have the money to pay the bill off promptly. Don’t forget to stop in to have your annual financial checkup! Here at First Financial, we encourage our members to come in at least once a year to sit down with a representative at any one of our branches to make sure you are currently placed in the correct Rewards First tier for you, and also that you are receiving the best value, products and services based on your financial situation. Give us a call at 732.312.1500 or stop in to see us today! 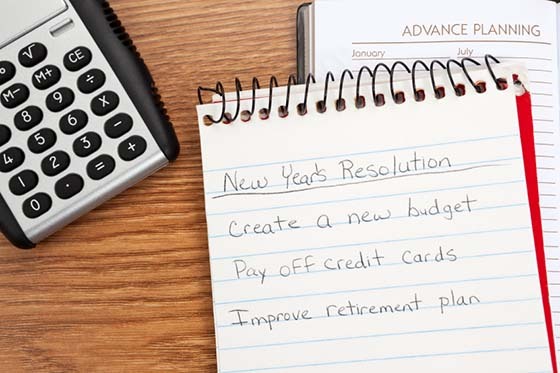 This entry was posted in Financial Advice and tagged Financial Advice, Financial Resolutions, First Financial Federal Credit Union, Monmouth and Ocean Counties by Marketing Coordinator Nicole. Bookmark the permalink.